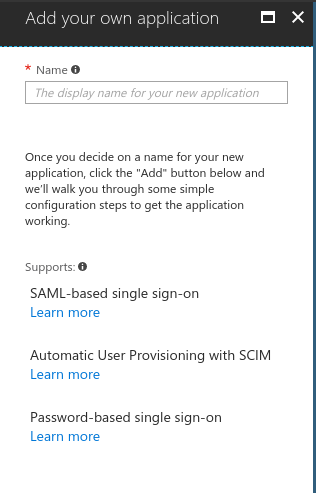 In MS Azure under Manage > Enterprise Applications then select the + New Application option. Select the option, Non-gallery application. Select a name for the application, e.g. "Zugata"
Enter "https://saml.zugata.com" under Identifier and input "https://saml.zugata.com/saml/acs" under Reply URL. Enter "https://saml.zugata.eu" under Identifier and input "https://saml.zugata.eu/saml/acs" under Reply URL. We use the user.mail as the user identifier, so please select user.email under User Identifier. Once you've configured these items, send your metadata XML to your customer success contact at Zugata to finish setting up your SSO.